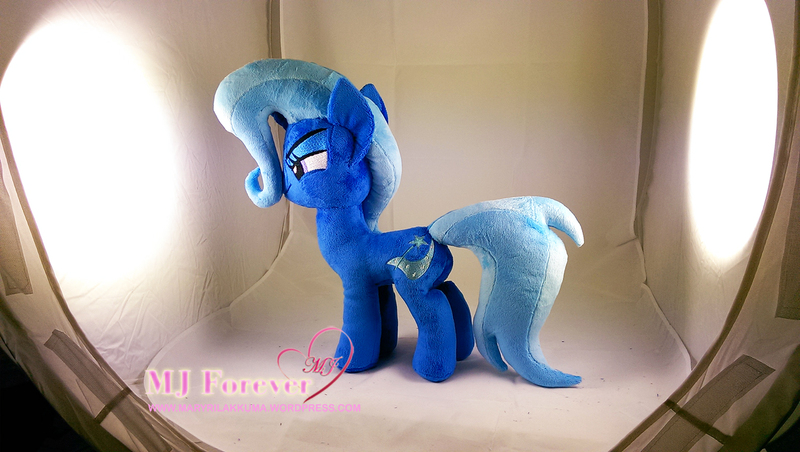 After completing Trixie – I’ve become a fan of her design 😀 and I can’t wait to sew another one of her for myself! 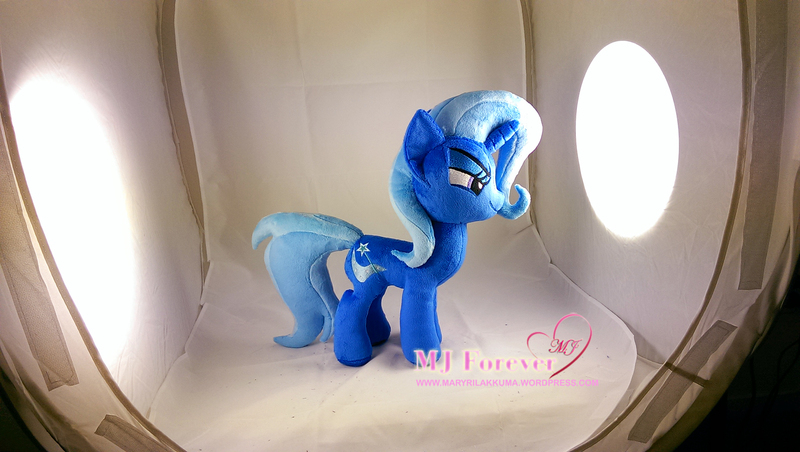 I especially love the smug expression I’ve decided to give her – it’s so endearing! 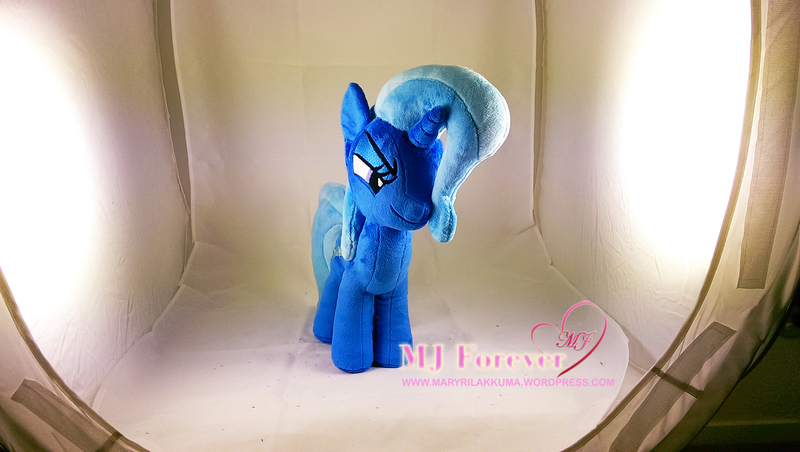 Little evil pony hehe. 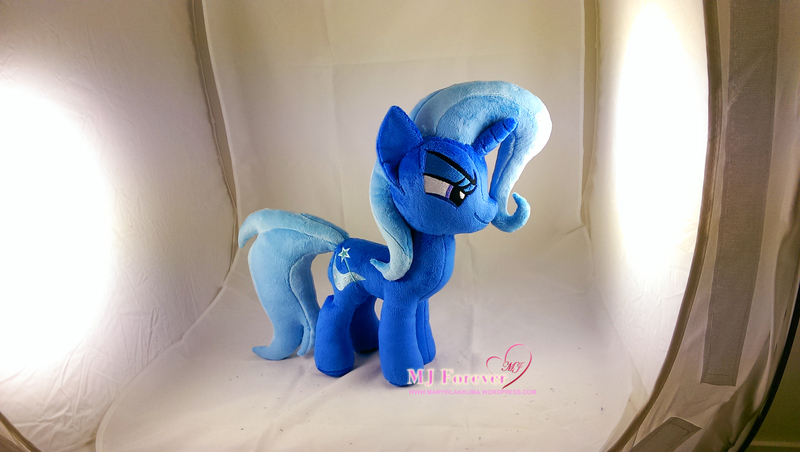 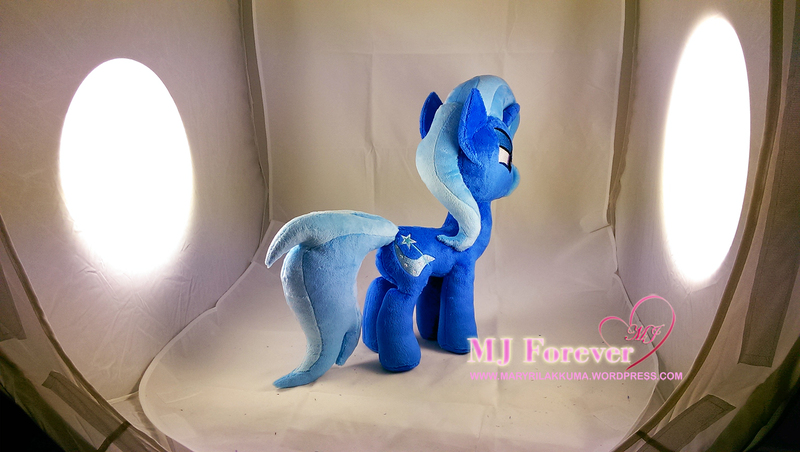 I’ve also made sure her mane had two shades of blue (just like in the show), rather than blue/white. 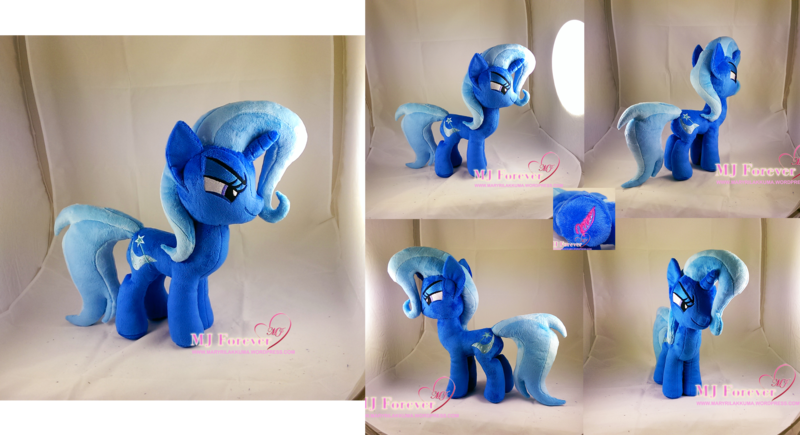 Now – I plan to start working on my Filly and Stallion patterns :3 (and I think I might have to make a Trixie for myself too XD) – so….. I’m not sure how long that would all take given how much commitments I have going on at the moment :< :< and I don’t want to rush things.